Born in Fjälkestad, in southern Sweden, Nelson apprenticed with the head gardener at Vanås, the estate of Count Wachtmeister, before immigrating to America in 1852 with his cousin Olof Benson. After working briefly in Defiance, Ohio, the two men moved to Chicago in 1855, where Nelson laid out the roads of Graceland Cemetery. 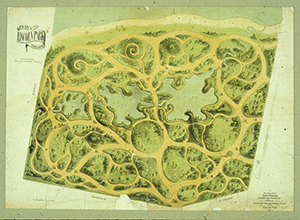 In 1865 the City of Chicago hired him to implement his plans for Union and Lincoln Parks, and Nelson opened a nursery near the latter, importing trees from England and Scotland. Under a newly formed partnership (Nelson & Benson) with his cousin, work on Lincoln Park continued into the 1870s, including the construction of Lake Shore Drive, but by 1887 the partnership had dissolved, and Nelson formed a landscape design and contracting firm with his son Seymour, eventually joined by a younger son, Alvin (Swain Nelson & Sons). The family belonged to the Swedenborgian Church, and in 1893 Swain Nelson & Sons planned a community for the church’s congregants in (what later became) Glenview, Illinois, relocating the nursery onto land adjacent to it. 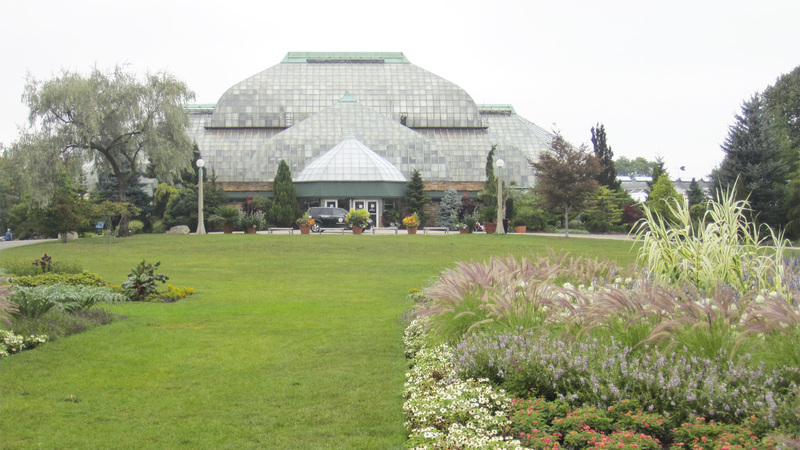 The nursery grew to more than 300 acres, and the firm, with an office still in Chicago, designed many landscapes in Iowa, including parks in Cedar Rapids, the grounds of a public library in Des Moines, and a hospital in Cherokee. After Swain Nelson’s death in 1917, the design firm and nursery were sustained by his sons and grandsons, but in the early 1920s efforts shifted decidedly to the nursery. It, too, eventually succumbed to the Great Depression and in the 1940s was transformed into a residential development called Swainwood. Born in Fjälkestad, in southern Sweden, Nelson was the son of the superintendent of a nobleman’s estate. After Nelson worked on a family farm for four years, he decided to pursue a career in horticulture, and was apprenticed to the head gardener at Vanås, the estate of Count Wachtmeister. Although Nelson enjoyed the work, he did not feel that he was getting adequate instruction, so he quit the apprenticeship to undertake a self-study. He had considered moving to Germany, but instead he immigrated to America in 1852 with Olof Benson, his younger cousin. The two planned to go to Chicago, but only had enough money to make it to Defiance, Ohio. After a couple of difficult years, Nelson learned English and received his earliest landscape gardening jobs in Defiance, improving a local banker’s estate grounds and planting an apple orchard for a wealthy landowner. The cousins relocated to Chicago in 1855, and within a short time Nelson designed and improved an estate on the city’s then- prestigious West Side. This led to other work laying out private residences. In 1858 local attorney and businessman Thomas Barbour Bryan hired Nelson to create the original cemetery roads for Graceland Cemetery. Several other noteworthy designers, such as William Saunders, H.W.S. Cleveland, William Le Baron Jenney, and O.C. 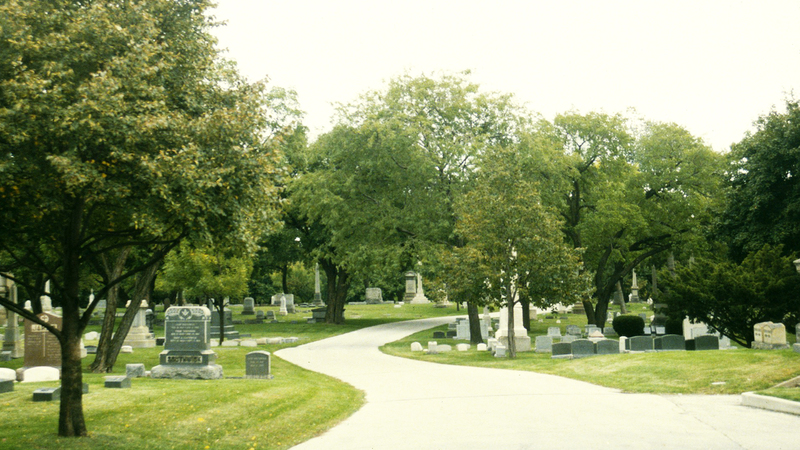 Simonds, made additional landscape improvements, which cemented the cemetery’s reputation as one of the nation’s premier rural cemeteries; it was Swain Nelson, however, who established the site’s initial improvements. 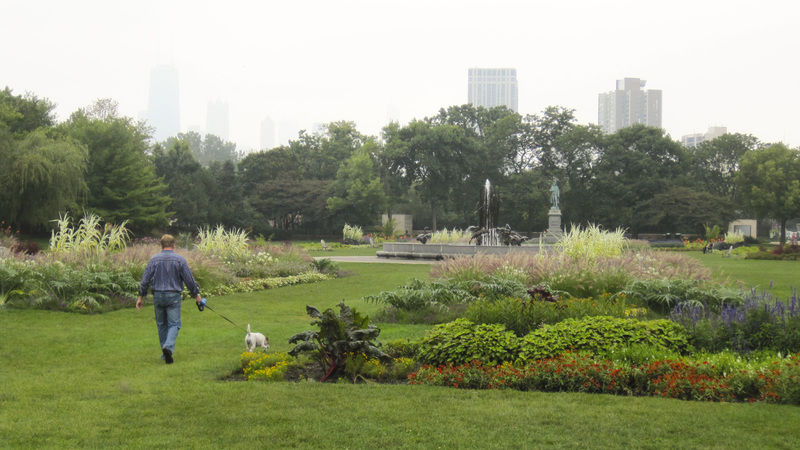 By the 1860s, little had been done to improve Chicago’s few parks. 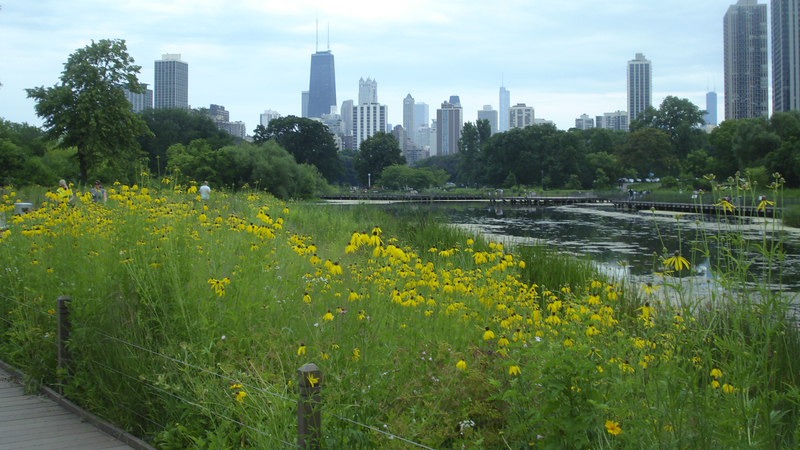 Local residents pressed the city to complete Union Park on the West Side, and Lincoln Park, an unfinished park that edged Lake Michigan and sat next to a public cemetery. As a result of a growing park movement, city authorities ran advertisements in local newspapers soliciting plans for both parks in 1865. Nelson responded with a proposal for Union Park, but did not submit one for Lincoln Park because he thought the site would be designed by the city engineer. The review committee favored Nelson’s whimsical Union Park plan, which featured an artificial lake, rustic bridges and benches, grottos, fountains, and winding paths. The committee asked Nelson to submit a scheme for Lincoln Park, too. After his cousin helped make a topographical survey, Nelson produced a plan that took advantage of the existing site, with its sandy glacial ridges and low swales, through which a drainage canal extended. 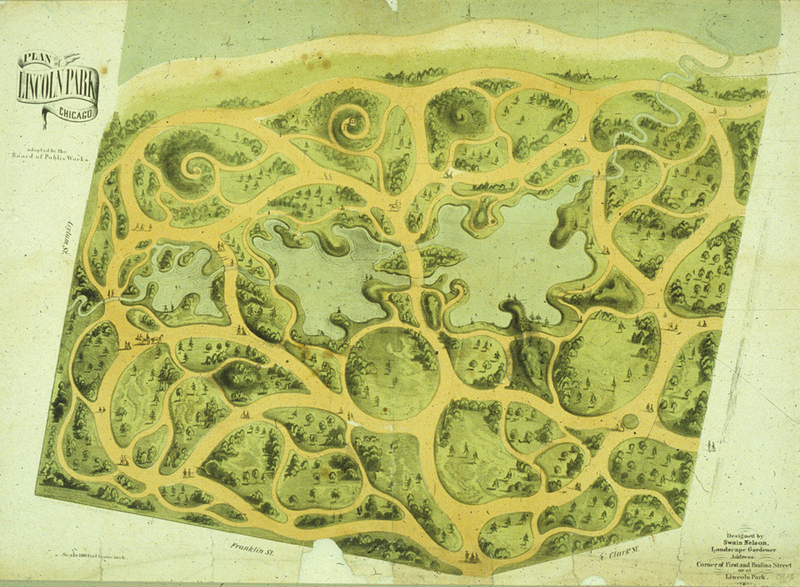 In the low, central area, he designed a serpentine lake and surrounded it with scattered trees, an intricate system of winding drives and paths, and a series of hills, including the 35-foot-tall ‘lookout mountain.’ Nelson won a $200 prize, and city officials hired him to implement the plans for both Union and Lincoln parks. Nelson soon established his own nursery on land near Lincoln Park. He imported elms, maples, and other shade trees from England and Scotland and also hauled in large trees from wooded areas on the outskirts of the city. 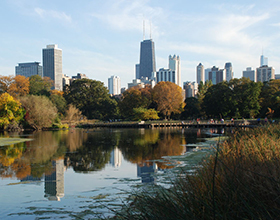 Nelson and Benson formed a partnership and continued to design and build Lincoln Park, including the construction of old Lake Shore Drive in the early 1870s. 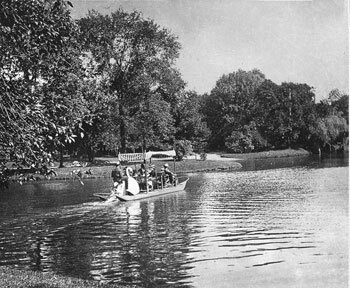 Their contracts allowed them to rent out row boats and sell refreshments in exchange for maintaining the park, and further specified that they feed the zoo animals and keep the ice fit for skating in the winter. 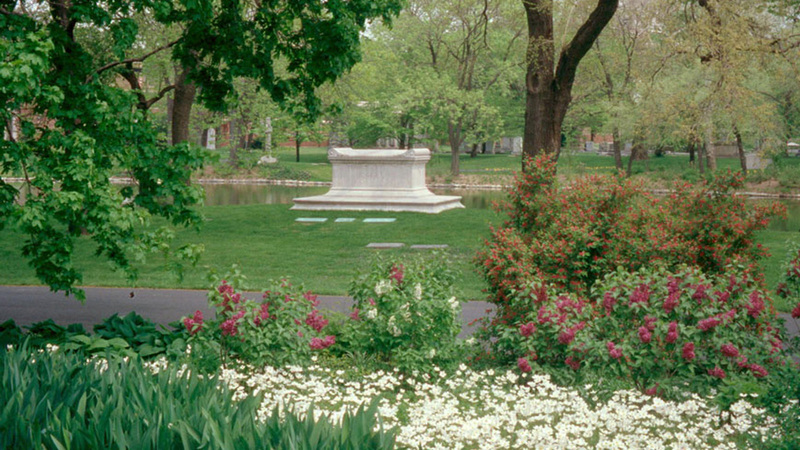 Nelson also remained busy designing estates for wealthy clients, furnishing trees for street plantings and landscapes throughout the region, and executing plans for landscapes that he did not design, such as Douglas Park in Chicago. 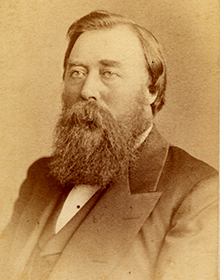 By 1887, Benson (who had long served as superintendent for Lincoln Park) was no longer his partner, and Nelson’s oldest son Seymour joined the firm—then known as Swain Nelson & Son. Some years later another son, Alvin Nelson, joined the firm, which was re-named Swain Nelson & Sons. The Nelsons belonged to the New Church, a Christian denomination following the teachings of Swedish theologian Emanuel Swedenborg (1688–1772). Church connections led Nelson to other landscape commissions, including the grounds for the Academy of the New Church in Berlin (now Kitchener), Ontario, Canada, and the Academy of the New Church College in Bryn Athyn, Pennsylvania. The church project most meaningful to Nelson was his congregation’s proposal to build a community in the countryside outside of Chicago. In 1893 church leaders, including Seymour Nelson, selected approximately 40 acres in what is now Glenview, Illinois. Swain Nelson & Sons developed a plan with a central, ten-acre plot (called the ‘Park’) reserved for the church and school grounds, with the surrounding land used for congregants’ homes. Nelson acquired adjacent property to relocate his nursery, which eventually encompassed more than 300 acres. With an office in Chicago as well as the nursery in Glenview, Swain Nelson & Sons frequently ran advertisements touting their abilities to design and build landscapes and to supply excellent nursery stock. Potential customers were offered a booklet entitled “Landscapes Without Waiting,” and describing the benefits of “immediate effect shrubs and trees.” The firm completed many projects in Iowa, including a state mental hospital campus in Cherokee, several parks in Cedar Rapids, as well as parks, the grounds for a cultural center, and the riverfront library in Des Moines. After Swain Nelson died in 1917, his sons Alvin and Seymour continued to run the firm (which was later headed by Alvin’s sons, Gerald and Hubert). Landscape design and contracting services were provided until the early 1920s, after which time the focus shifted to the nursery operation and landscape contracting. The firm did not fare well during the Great Depression, and the family transformed the nursery land into a residential development known as Swainwood in the 1940s. Bryan, I.J. Report to the Commissioners and a History of Lincoln Park. Chicago: Lincoln Park Commissioners, 1899. Nelson, Swain. Unpublished autobiography; from the Academy of New Church Archives at the Swedenborg Library, Bryn Athyn, Pennsylvania.